TuJia people of Wulingyuan are good at makeing bacon,Every winter,the local people kill the pigs and sheep,And then,they prepared the bacon which are dried by firewood for the coming spring festivel. 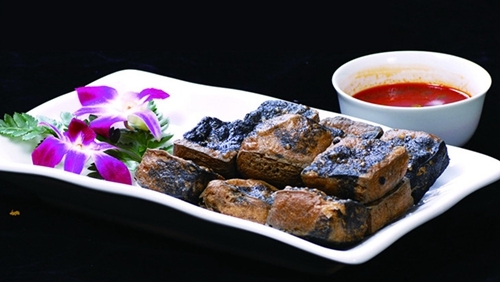 Main ingredient: Fish head;Other ingredients: Bamboo shoot, Black fungus, Garlic sprouts’ leaves red peppers, Streaky pork, Green onion and Ginger;Flavorings: Salt, Gourmet powder, Sugar, Thick chili sauce, Red camphor oil, Salad oil and Clear soup. 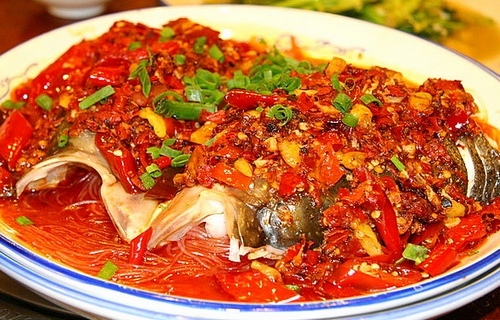 This is most famous snack in Changsha that almost nationally well-known. People say that the tofu smells weird but it tastes great! 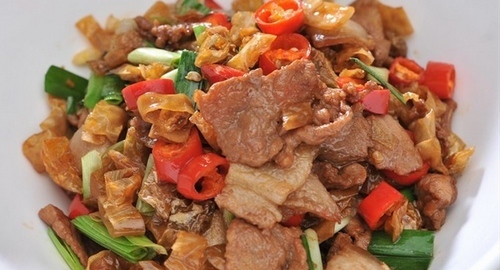 Fried Pork with Salted Pepper is bright in color and tastes salty, fresh and a little bit hot. Pork slices are crispy and delicious. 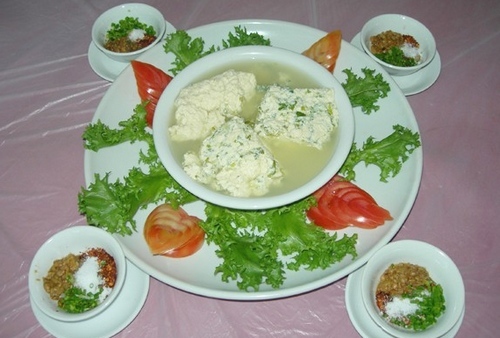 Miao Nationality’s vegetable bean curd is made by vegetables and bean curd. It is one of the most favorable main dished in Miao people’s daily life.